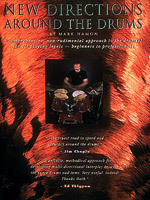 Endorsed by notables like Hal Blaine, Peter Erskine, Jim Chapin, and more, this book features a comprehensive, non-rudimental approach to the drumset for beginners to professionals! It combines straight drum-to-drum patterns with cross-sticking configurations, and includes open-ended free-style drum patterns for use as solos and fills. 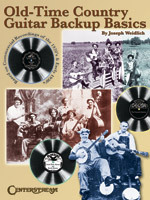 This instructional book uses commercial recordings from 70 different "sides" from the 1920s and early 1930s as its basis to learn the principal guitar backup techniques commonly used in old-time country music. Topics covered include: boom-chick patterns, bass runs, uses of the pentatonic scale, rhythmic variations, minor chromatic nuances, the use of chromatic passing tones, licks based on chords or chord progressions, and more. 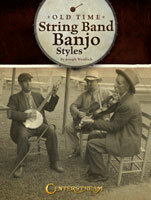 Can't figure out what tuning your favorite band or artist used, then this book is for you. This bestseller has now been expanded to include over 220 artist with over 435 songs - the most comprehensive artist and tunings list ever compiled! �plus the only book to illustrate more than 75 different tunings in easy-to-read diagrams. 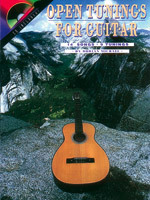 Includes tunings used by artist such as Chet Atkins, Michael Hedges, Jimmy Page, Joe Satriani and many others - for rock, blues bluegrass, folk and country styles. 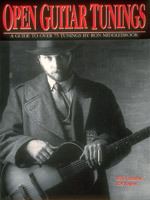 This book provides 14 folk songs in 9 tunings to help guitarists become comfortable with changing tunings. Songs are ordered so that changing from one tuning to another is logical and non-intrusive. Includes: Fisher Blues (DADGBE), Fine Toast to Hewlett (DGDGBE), George Barbazan (DGDGBD), Amelia (DGDGCD), Will the Circle Be Unbroken (DADF#AD), more.